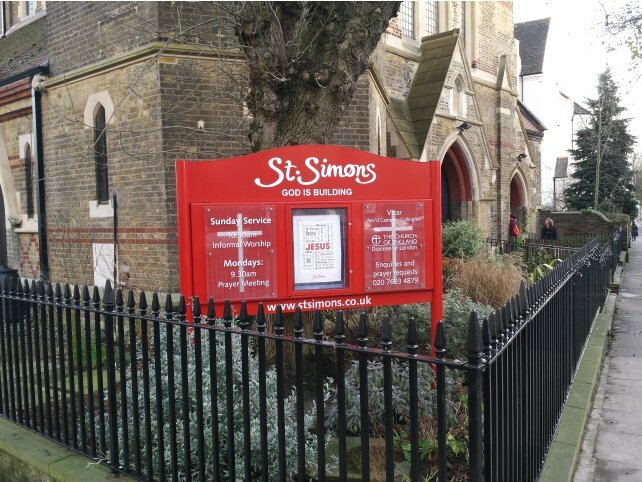 St Simon’s is a late Victorian church building with an attached hall designed by Sir Arthur Blomfield and built between 1879 and 1886. 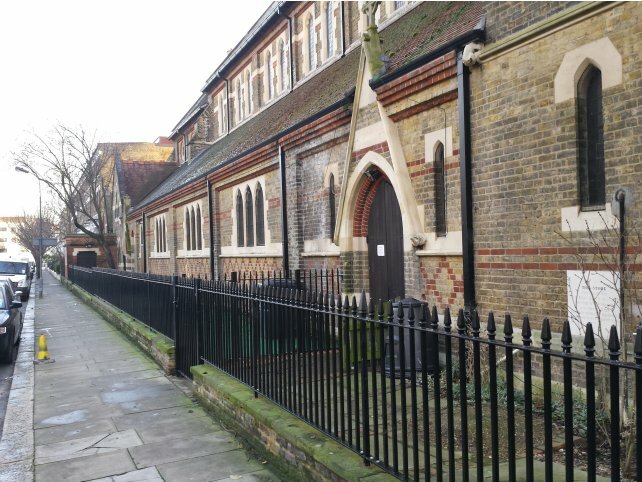 The church is set in the midst of terraced housing a few hundred yards south of Shepherds Bush Green. It has an imposing spire and clock tower and a small garden space. On this project Alpha Rail worked directly for the church manager. 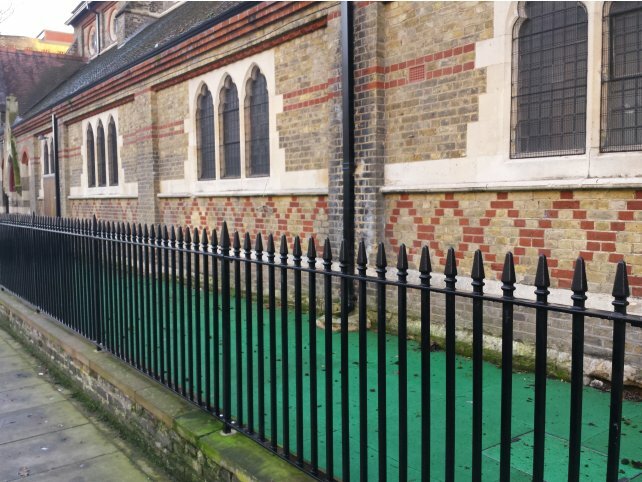 We supplied and installed 32 linear metres of 1m high Kennington railings that were mounted on two courses of brickwork. This was achieved by diamond drilling the post positions into flat topped concrete wall coping and securing the posts into position with grout. 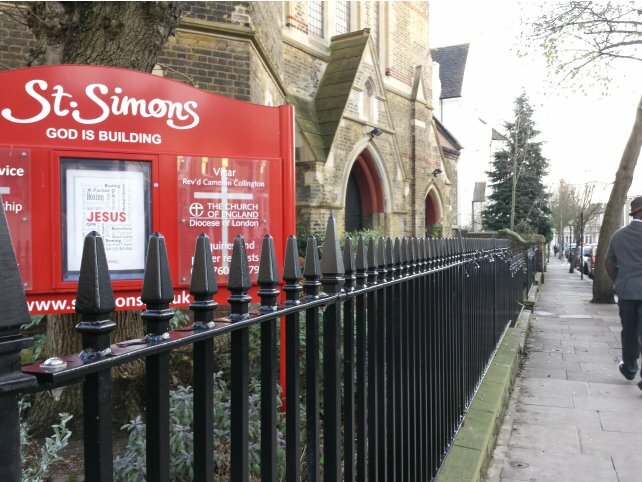 In addition we also manufactured and installed three single leaf gates to compliment the design of the metal railings. 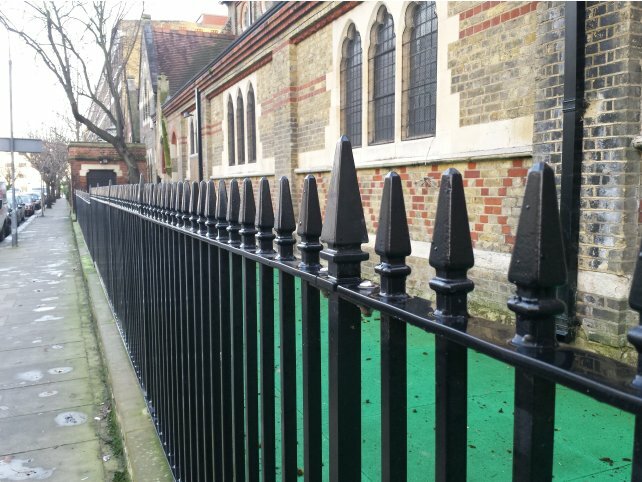 We also supplied a single 3.5m length of handrail which featured a bespoke twisted effect to the infill bars. As these were positioned alongside walkways they were topped with a metal handrail and securely concreted into position below the tarmac pathway. 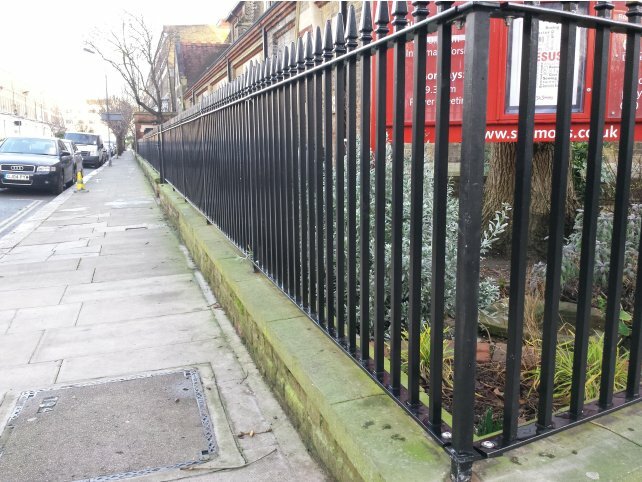 All metal work was supplied galvanised and powder coated RAL 9005 black. "“Overall we are very pleased with the work. 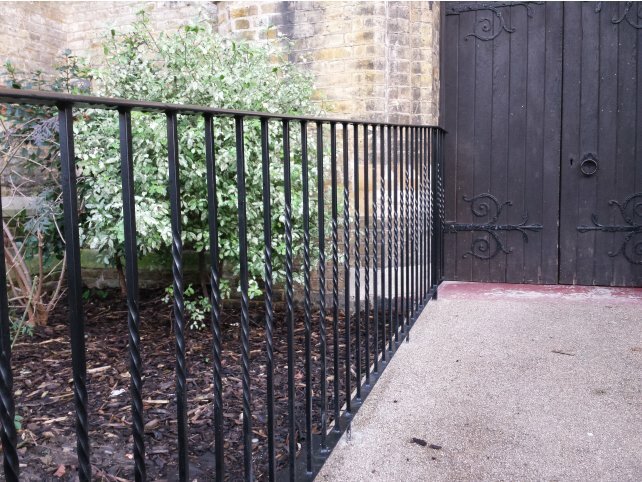 Alpha Rail had professional yet friendly manner which made it pleasant to deal with them. The works were delivered to the time scale promised and within budget. The calculation error on the hand railing was quickly rectified to our satisfaction”."